Please send us your measurements and quantities, we will then contact you with all further details. We sell exclusively to business customers. Fields marked with an asterisk are mandatory fields. In order to produce the exact product for you, we need 3 measurements from you. Please tell us the filling caliber (not intestinal caliber) of your goods. We need it for the ring, you can specify different caliber and order. Furthermore, we need the exact length of your PT100 probe in use to make the exact sleeve length to hold your core probe. 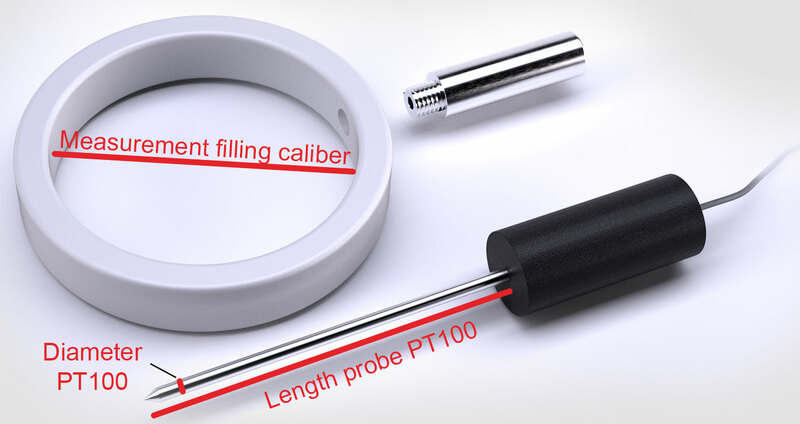 We need the diameter of the PT100 probe for the play-free manufacture of the sleeve.